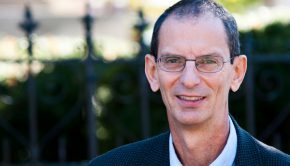 I recently had the privilege of interviewing Dr. Gregg Allison, professor of Christian Theology at The Southern Baptist Theological Seminary in Louisville, KY. Dr. Allison holds a Ph.D. from Trinity Evangelical Divinity School in Deerfield, IL and has been teaching theology at the seminary level for over twenty years. He corresponded with me to answer some questions about Jesus, teaching, writing, and ministry. How did you come to know God through faith in Jesus Christ? As a senior in high school I heard the gospel for the first time. The Holy Spirit convicted me of sin—that I had not believed in Jesus, that I was relying on my own righteousness to gain favor with God, and that I judged others according to worldly standards (John 16:8-11)—and I cried out to God to save me. Immediately I received assurance of salvation. That was forty-two years ago! 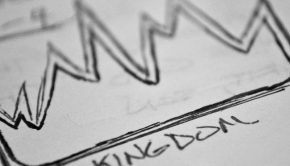 What led you into the realm of the academy to train men for gospel ministry? I was on staff with Cru (formerly Campus Crusade for Christ) for many years, including ministries at the University of Notre Dame; Rome, Italy; and the Italian-speaking part of Switzerland, so I was good at grassroots ministry. The question for me became: who was going to train the next generation of pastors, teachers, missionaries, and evangelists to take new believers and growing young disciples, with whom I regularly worked, to full maturity in Jesus Christ? I understood from the Lord that I should pursue the Ph.D. to be in a position to train up the next generation of Christian leaders. You have written a book entitled, Historic Theology, with Zondervan. 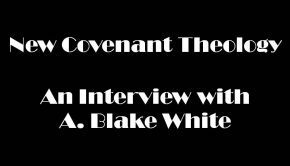 What is “historic theology” and why is it important? Think of historical theology as wisdom from the church of the past consisting of solid biblical interpretations and sound theological formulation. Such wisdom provides the church of today with many benefits, including distinguishing orthodoxy from heresy, underscoring the essentials of the Christian faith, providing assurance that Jesus is fulfilling his promise to build his church (Matt. 16:13-20), and much more. The contemporary church has a great legacy as it seeks to articulate and defend doctrines such as the Trinity, the deity and humanity of Christ, the atonement, and so forth, and it can rely on this heritage as it engages in its interpretation of Scripture and formulation of theology. I attended the Act Like Men Conference at Veritas Community Church in Columbus, OH a couple of years ago and at the conference you taught a break-out session about studying. In that session you said that if you were stuck on an island with the Bible and one other book of your choice, it would be John Calvin’s, Institutes. Is that still true and if so, why that book? Let me restate the situation: if I were stranded on a deserted island and had only two books, what would they be? The first, without question or hesitation, would be the Bible! The second would be Calvin’s Institutes, because it is a remarkable theological resource that is thoroughly biblical, quite comprehensive in scope, clear, combative where necessary, pastoral in focusing on God and the help he provides for his people, and full of theological wisdom. I don’t agree with some of it—infant baptism, for example—but overall I find it the finest theological work ever written. You have also recently written a book with Crossway on the doctrine of the church, Sojourners and Strangers. As you look across the landscape of evangelicalism and the church at-large, do you have any concerns with the way we “do” church? Any commendations? I have concerns galore! 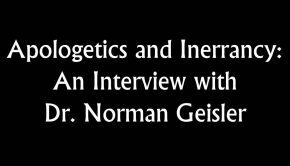 As your question emphasizes, many evangelicals “do” church without ever considering the question “what IS the church?” Consequently, many churches are focused on what they think they should be doing in terms of programs, activities, pragmatic matters, and the like, but these ministries are not grounded in a biblical and theological vision of what the church should be. In my book, Sojourners and Strangers: The Doctrine of the Church, I start out with seven identity-markers of the church, and explain that from these characteristics flow the functions of the church. At the same time, I am very encouraged by some developments within American evangelicalism, and at the top of my list are church planting endeavors of many theologically astute, gospel-oriented, Christ-centered young men. 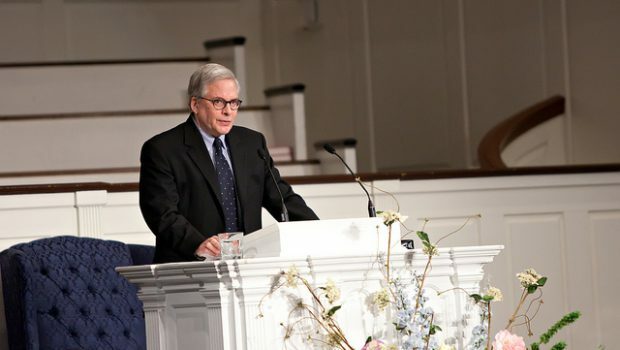 You are not only an accomplished author and professor; you are also an elder with Sojourn Church in Louisville, KY. As a pastor/elder, what advice would you give to seasoned pastors? What advice would you give to young pastors just entering the ministry? For seasoned pastors, (1) continue to build a community of the Word of God through faithful preaching of all of Scripture centered on the gospel of Jesus Christ; (2) continue to disciple your leaders (and make sure not to overlook your responsibility to disciple the leading women so that they can mentor the other women in your church); (3) love your people and pastor the church that God has given you, not the church that you wish you had; (4) find like—minded pastors/elders with whom you can do life and ministry together; (5) find your greatest joy in worshiping God through Christ in the Holy Spirit together with your brothers and sisters when you gather as a corporate body on Sundays; (6) never forget that ministry is like a marathon, and thus you are in this work for the duration of your life, so don’t grow weary (Gal. 6:9). For young pastors, (1) find a more mature pastor or pastors who will disciple you; (2) don’t make any changes your first year of ministry, but build a community of the Word through expository preaching, build your leaders through Bible study and personal mentoring, and love your congregation, especially the senior citizens (they need to know that you will guide them well according to Scripture, and you need to build that trust with them); (3) spend time weekly at Starbucks or other third space venues getting to know the employees and regular clients so they become friends with whom you can share the gospel; (4) build like—minded pastors/elders with whom you can do life and ministry together; (5) commit yourself to staying at your church for the long haul, because any significant, fruitful ministry takes years, even decades, to achieve. Thank you for praying for me! I have a number of book projects in which I am engaged—the theological vision for Sojourn Church, a concise dictionary of theological terms for Baker Academic, a book on salvation for Kregel, eventually a book about human embodiment—and I would appreciate your prayers that I can faithfully work on these projects and that they would become excellent resources to help many people.